In October (on the heels of our recent ARM Exploitation Research) we were invited to speak at ARMTechCon, one of the largest Microprocessor conferences in the world. 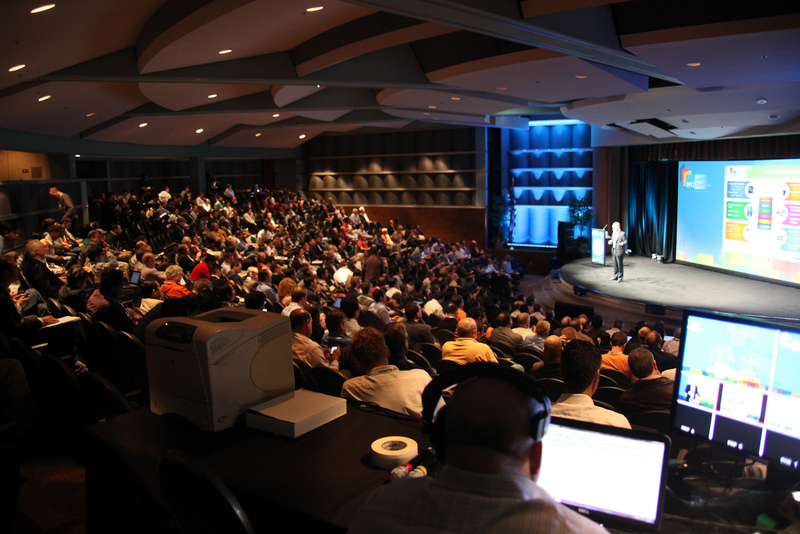 It was held at Santa Clara Convention Center in California. We were asked to speak there and sit on an “expert panel” on the security of “Real-World” devices. This conference was HUGE, virtually every little nook of the sprawling conference center had talks, panels, and discussion forums. The main Expo floors were also jam packed. Vendors of all kinds were pulling out their flagship products. Because ARM processors dominate the mobile market, all the big guys were there: Samsung, Oracle, etc. What was also interesting to see was how so many other players were also shifting their focus to ARM (RedHat, et al). developer. 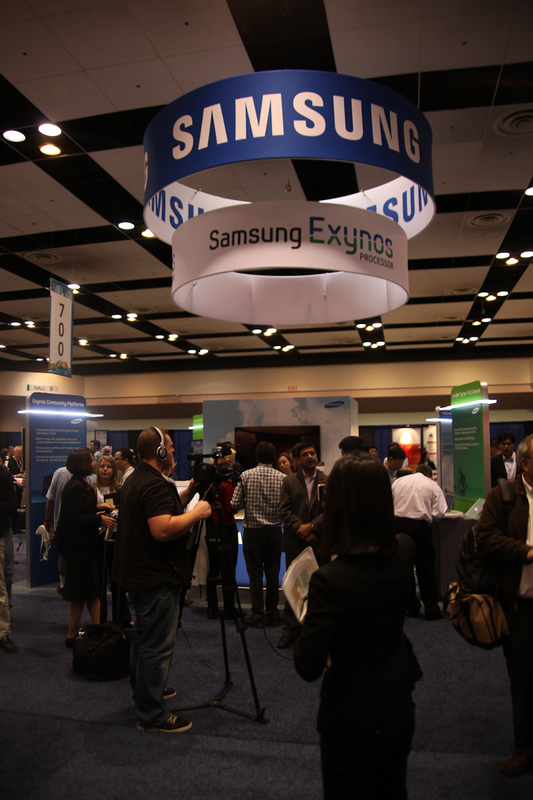 Many booths featured fancy JTAG debuggers, new code tracing tools, hardware development platforms. At a number of booths, ARM Eval kits from a bunch of manufacturers were being handed out like business cards. ARM may own the mobile and embedded space from the perspective of the consumer but ARMTechCon is very much a developer’s conference. This is the nature of ARM cores. They are everywhere and in everything from “bare metal” applications powering robotics up to cluster servers. It was very common to walk past a booth and see developers arguing over their preferred JTAG debugger. 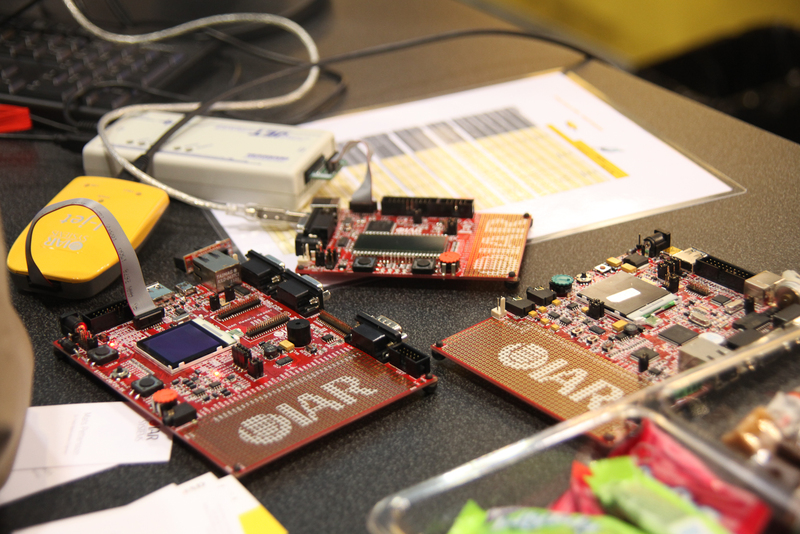 * IAR’s new ARM JTAG debugger (which looked like a clone of the Segger J-Link). * ARM’s new mouth-dropping MALI technology. A GPU build right into the processor core. The demo 3d-graphics on the mobile phones with Mali were amazing. While really impressed, all I could think was “KERNEL BUGS!” But I guess we’ll have to wait and see. * Green Hills software has a product leveraging TrustZone to offer Android in an “untrusted” and “trusted” simultaneous execution environment. Special gestures on the touchpad transition between the two concurrent environments. Bugs galore I’m sure. But hey, at least there’s TrustZone product offerings. That’s really it. An abridged photo slideshow is below, and a full one is in our photo collections over at Smugmug. Xilinx showing off their FPGAs pretending to be ARM cores and running adaptive vision. The ball height follows your finger using computer vision.